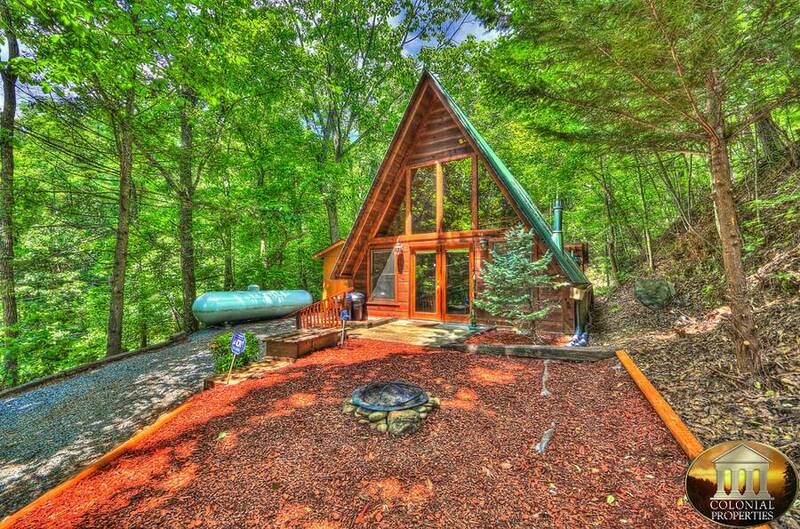 Welcome to Little Peace of Heaven in Gatlinburg! 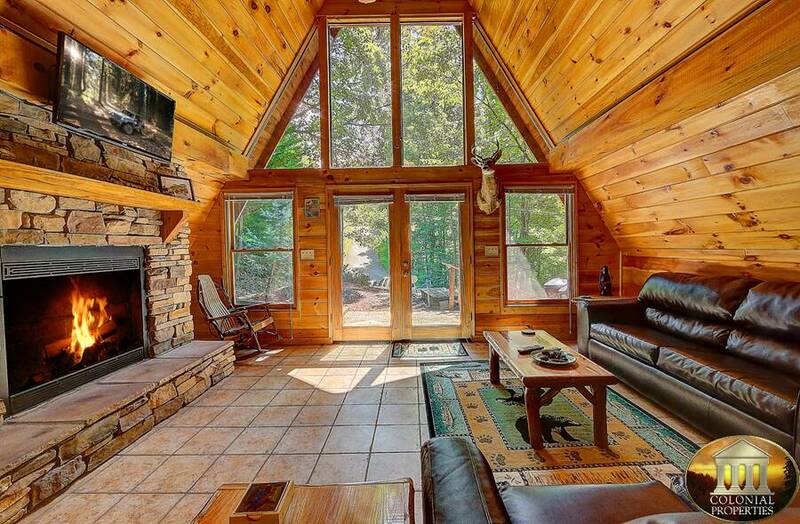 This stunning 3 bedroom A-frame inspired Smoky Mountain cabin rental is a remarkable vacation getaway. 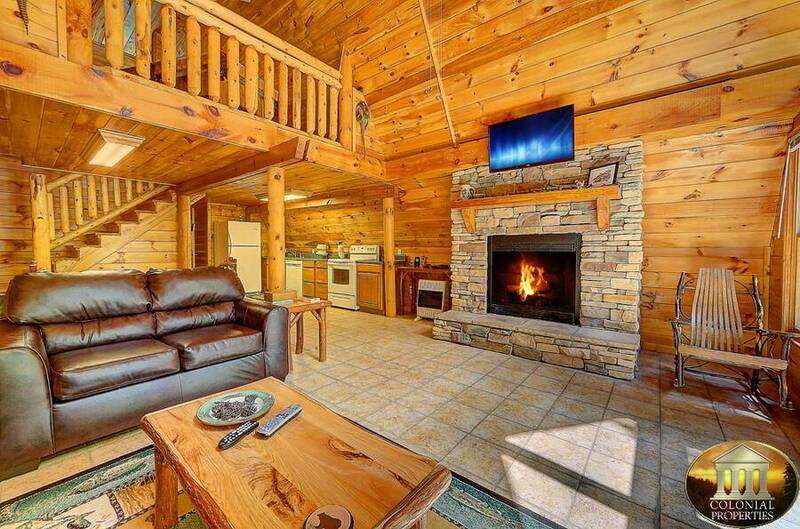 The amazing living room features a breathtaking wall of windows that seemingly brings the outdoors in, a mountain stone accented fireplace, plush leather furnishings, flat screen TV, custom hand crafted log decor and soothing natural wood accents. 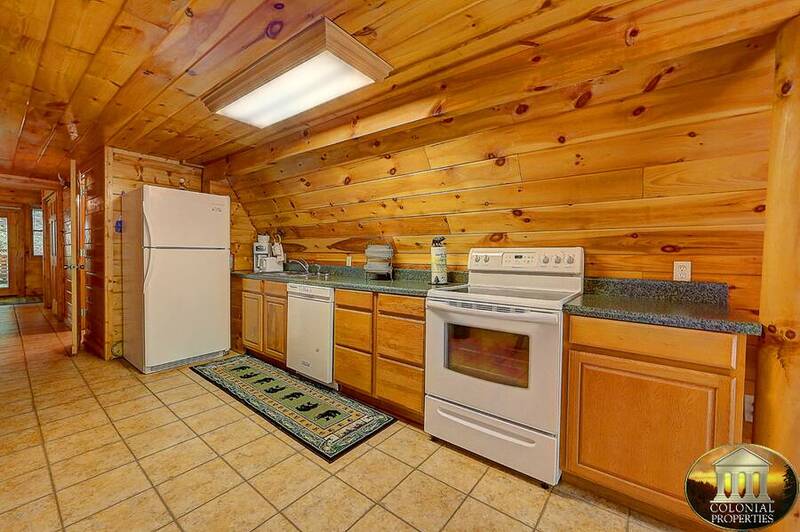 Just off of the living area is the wonderful fully equipped kitchen with modern appliances and all of the necessary utensils to prepare, cook and serve your favorite meals while vacationing in the Smoky Mountains. 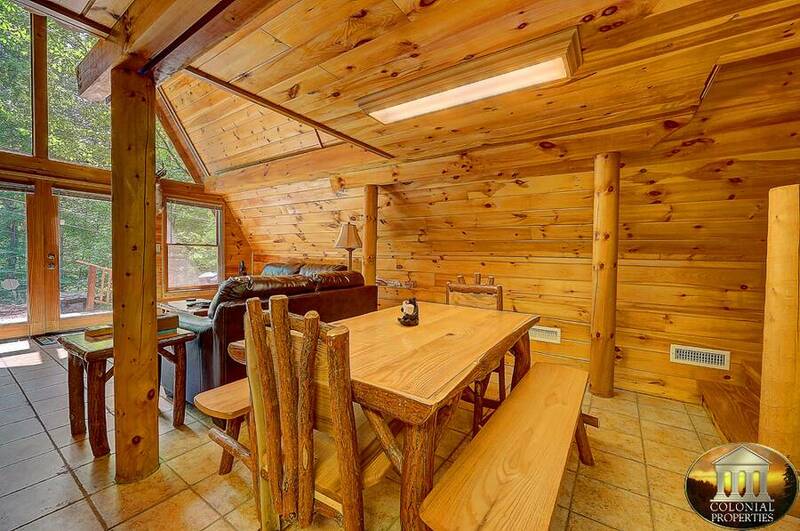 Adjoining the kitchen is the dining area with a beautiful custom log table that seats up to six people comfortably. Located on the main level is the truly spectacular master suite. 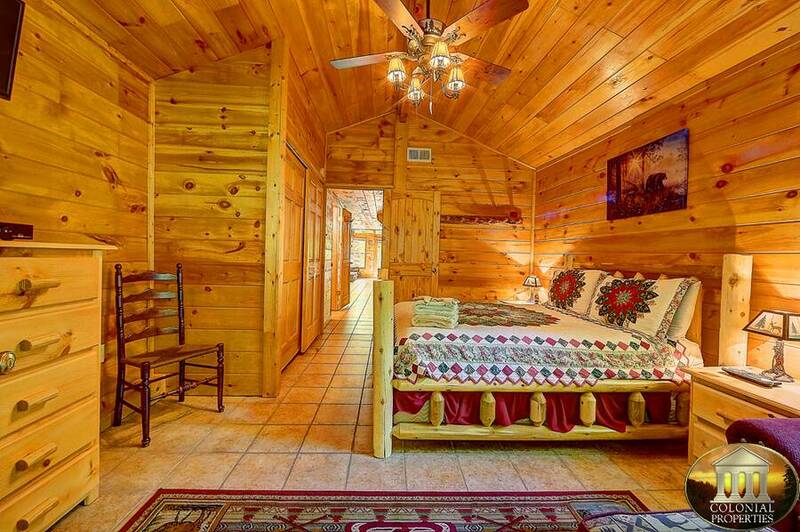 This luxurious bedroom features a restful log bed, gleaming cathedral ceiling overhead, flat screen TV, sitting area and access onto the rear covered deck. 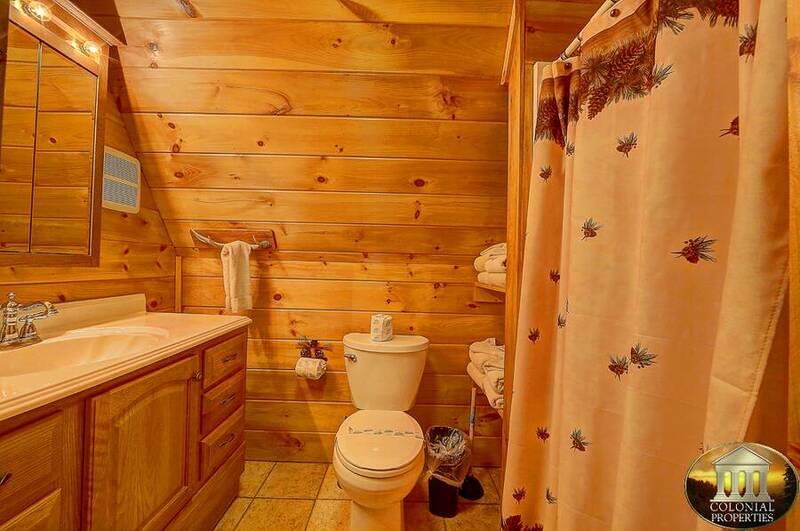 There’s also a nearby full bath with standup shower for added convenience. 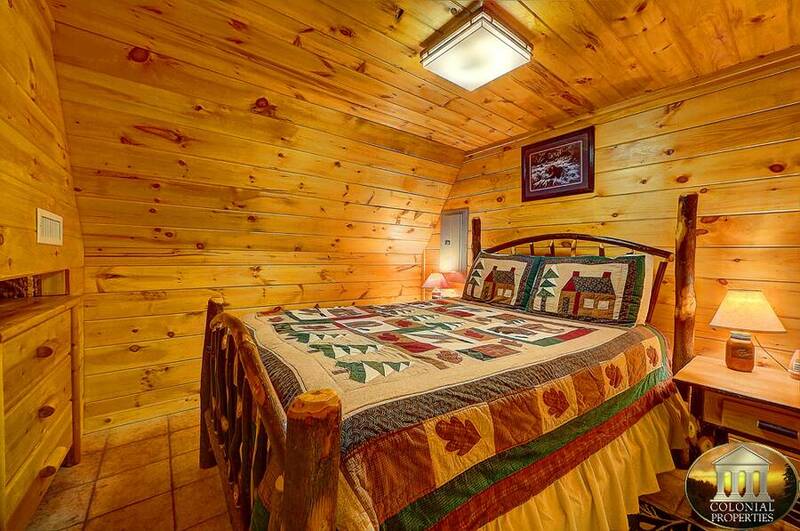 There is an additional bedroom located on the main level that features soothing natural wood accents and a custom hand crafted log bed. 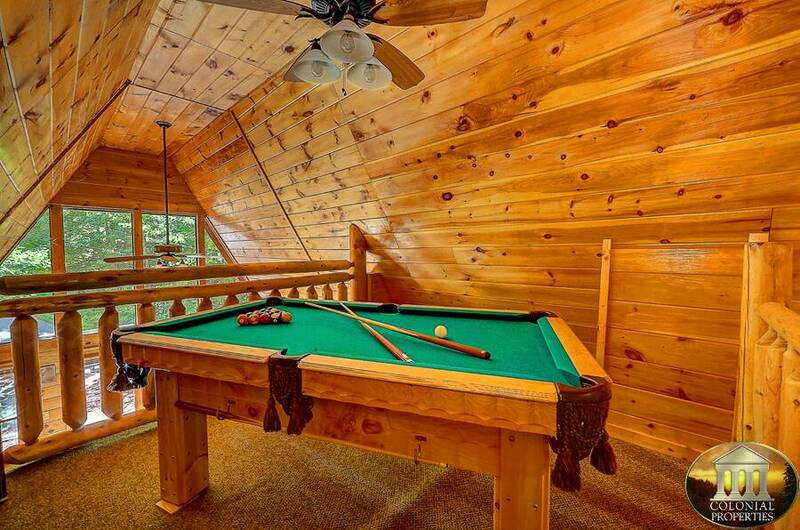 Head upstairs at a Little Peace of Heaven and you’ll enter the loft game room. Here you can challenge your friends and family to an exciting game of pool for a truly fun experience. 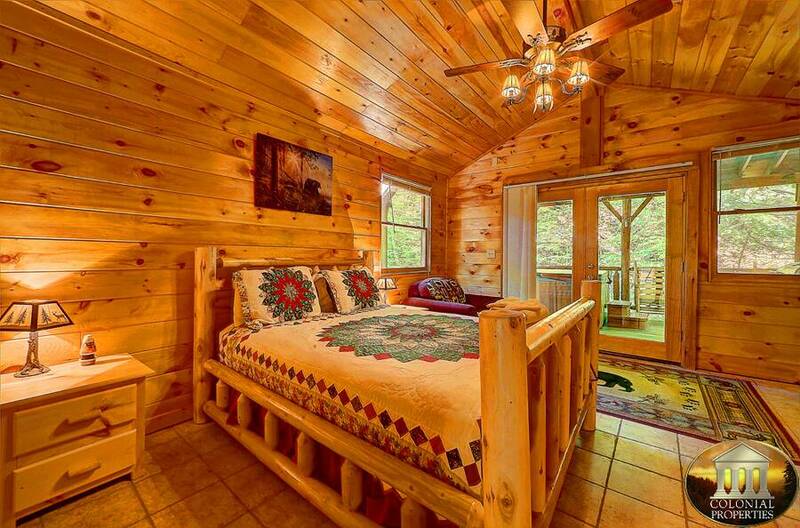 Located on the upper level is the third restful bedroom with log furnishings and beautiful wood accents. Be sure to pack along your laptop, tablet or smart device while staying here to enjoy the complimentary high speed internet access plus free unlimited long distance calling. 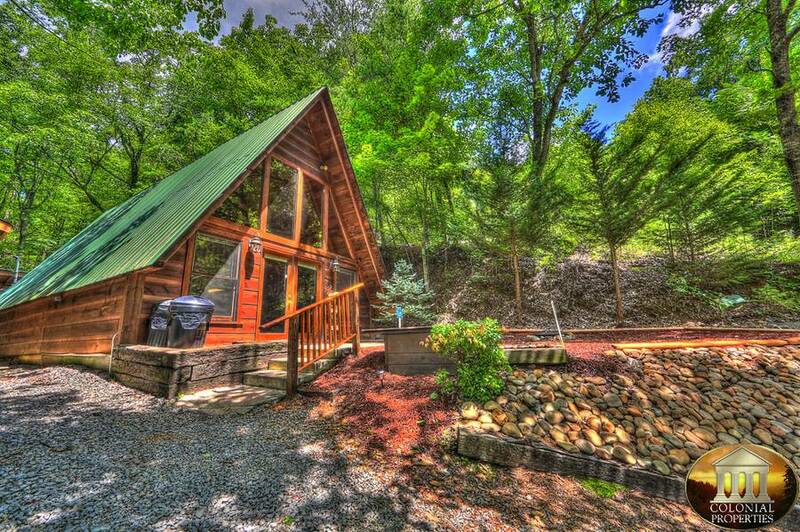 Located out front of this beautiful Gatlinburg cabin you’ll find the fire pit. 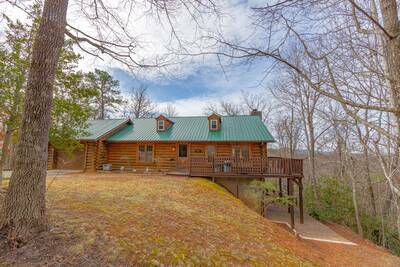 Roast marshmallows, sit around and share stories with your friends and family or just kick back and gaze at the stars above on a chilly Smoky Mountain night. 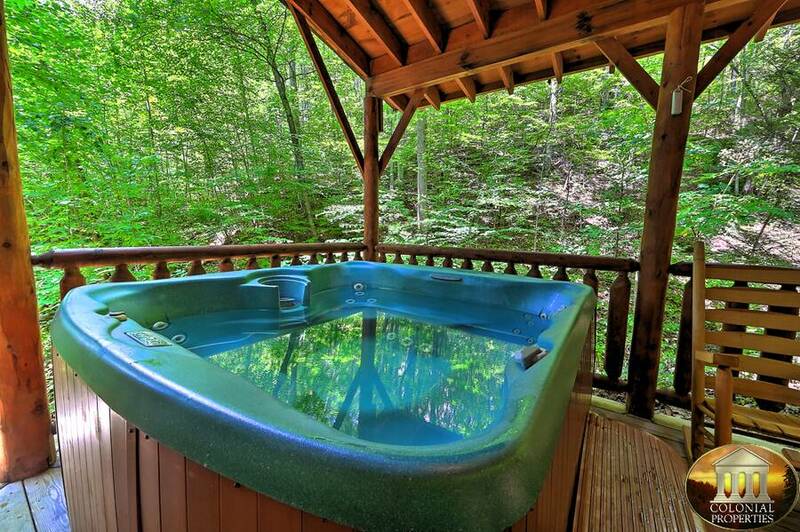 The covered rear deck is wonderfully private and features the bubbling outdoor hot tub, comfy rocking chairs and a BBQ grill. With its stunning design and fantastic amenities, your vacation getaway at Little Peace of Heaven is sure to put a smile on everyone’s face. 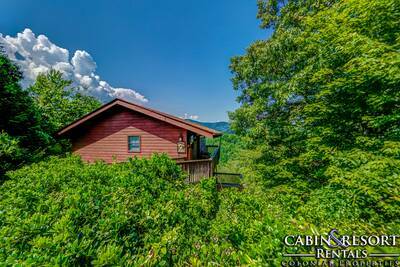 This Gatlinburg cabin rental has so much to offer and is conveniently located near all of the great things to see and do in the area. 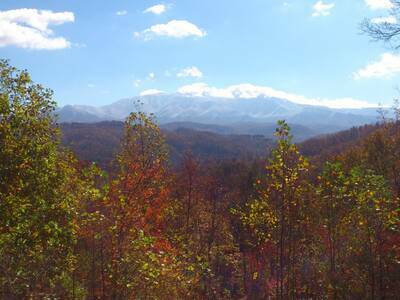 Reserve your Smoky Mountain vacation getaway today! 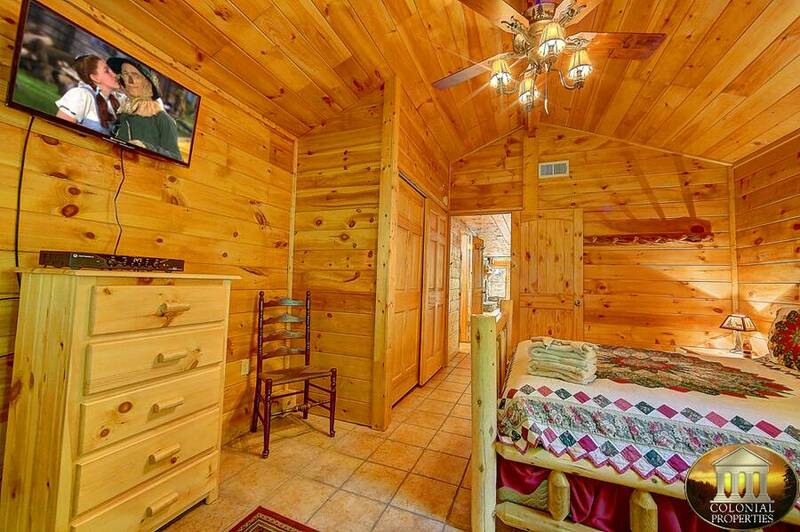 A: The master bedroom has a flat screen TV. 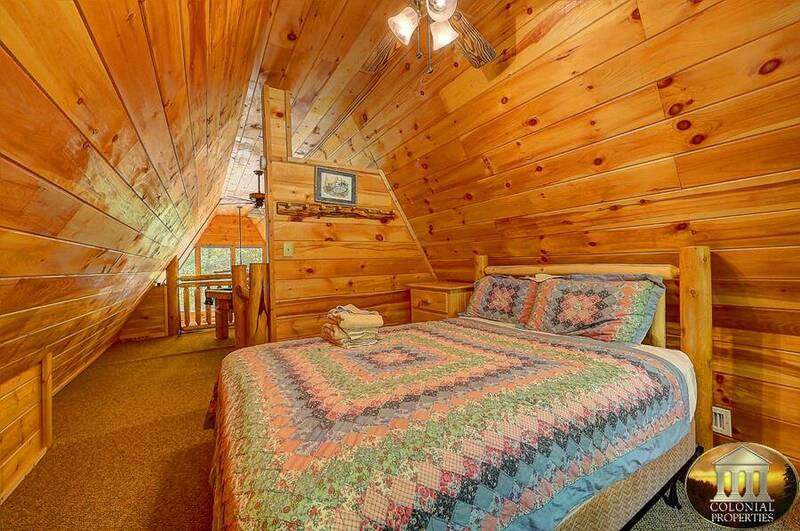 A: This property has 3 Queen beds. A: Hi Farah! Yes, Little Peace of Heaven is a pet friendly property. A: Hi Karen! 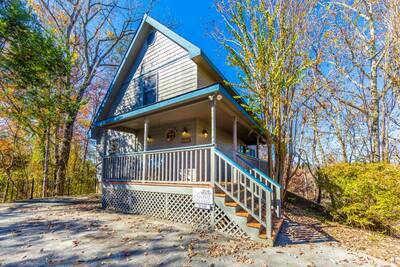 Little Peace of Heaven is conveniently with located between Pigeon Forge and Gatlinburg. The drive is approximately 15 minutes to both cities. A: Hi Savannah! Little Piece of Heaven does not have a indoor jetted tub. 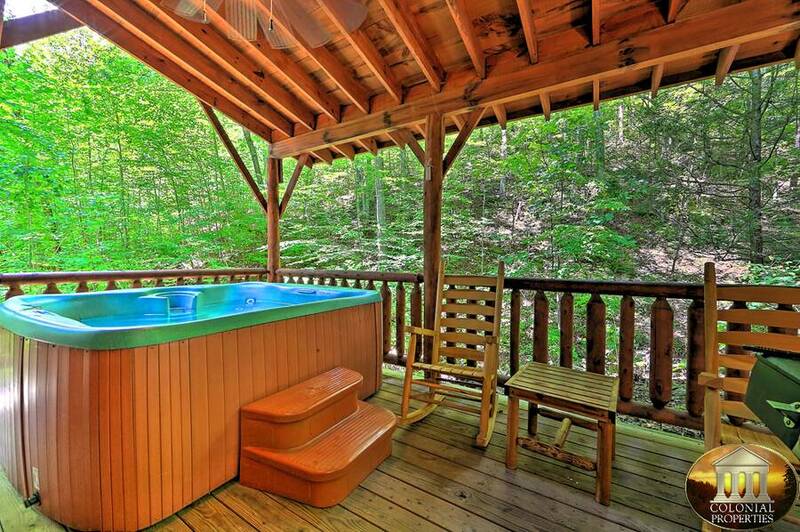 It does have a relaxing Hot Tub located outside. A: Hi Krystal! 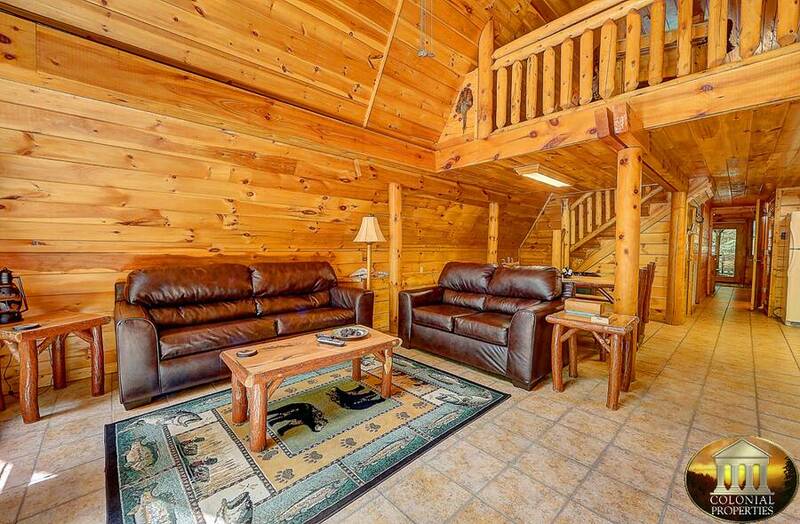 Yes, the master bedroom and second bedroom is located on the main level. 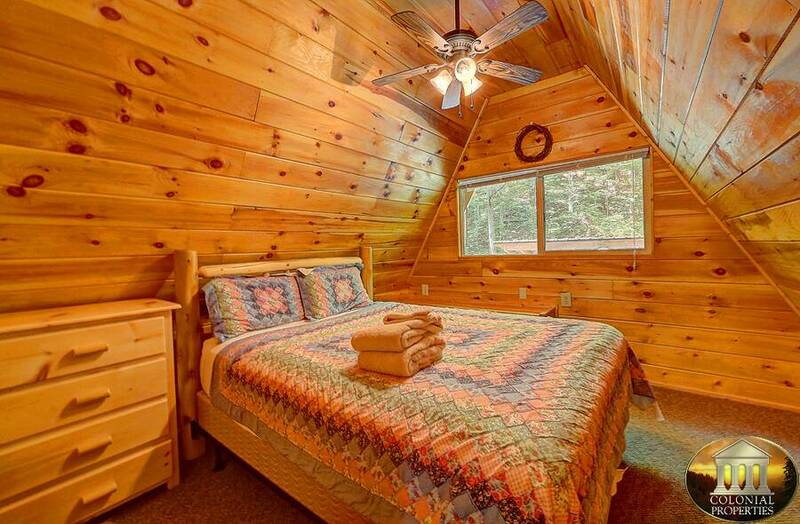 The third bedroom is located upstairs. A: Hi RaeAnn! You must be at least 25. 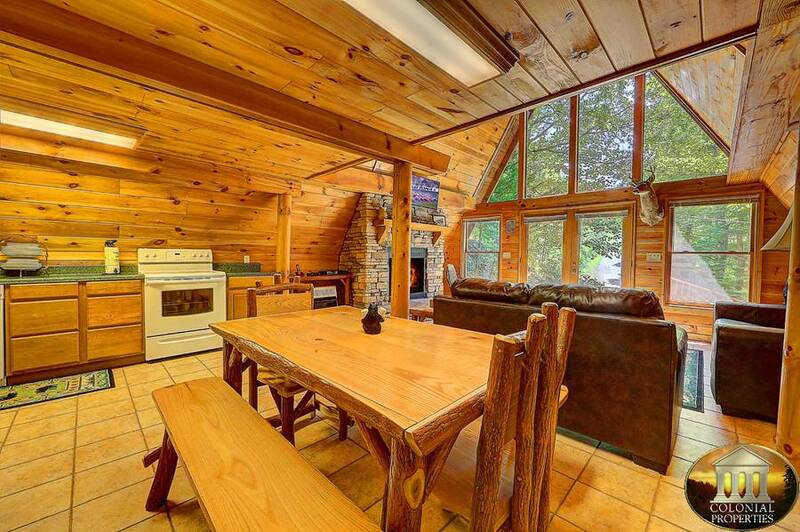 “ The cabin was clean, comfortable, and nicely furnished. Our first night there the hot tub and kitchen lights were not working, but shortly after contacting Colonial Properties the next morning about the issue they had a repair man out to fix it within hours of my call. 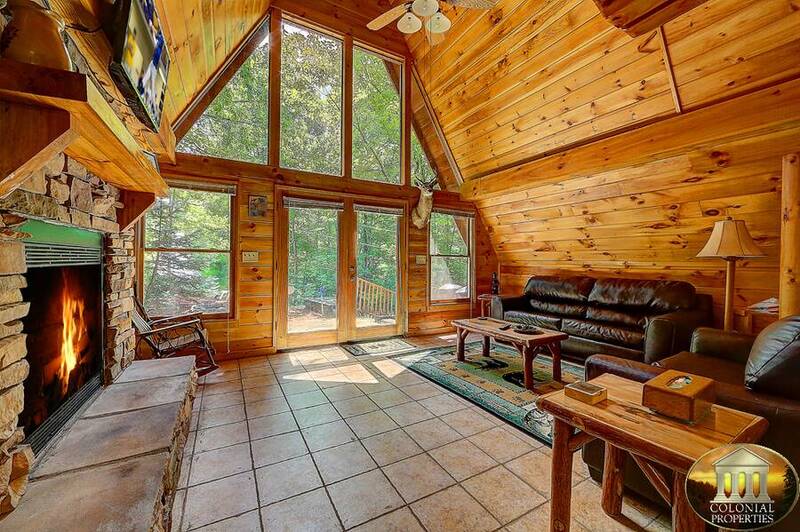 “ The cabin was lovely. 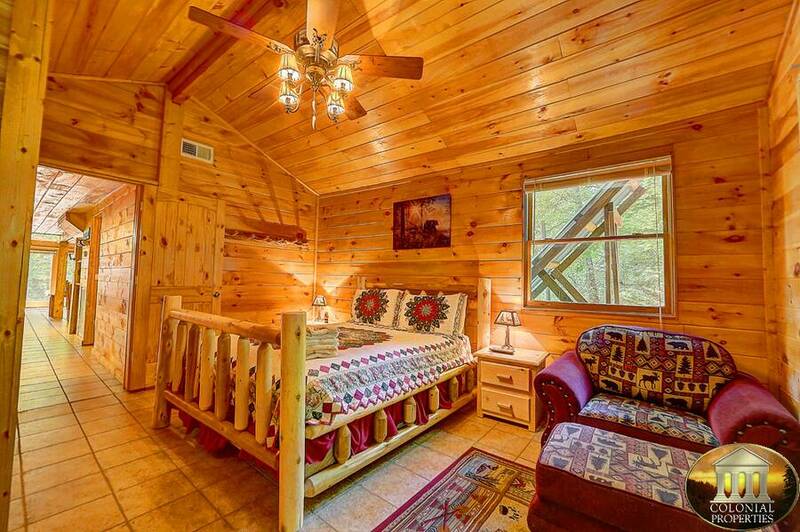 “ Our stay in this cabin was everything we hoped for! It’s EXACTLY what is pictured, no surprises! Very very clean. This was our 1st trip to Gatlinburg (family of 4) and would highly recommend Colonial Properties. A little scary driving up the mountain to the cabin, but that’s what makes it so fun! We will definitely be back! !